Drowning in debt, it was forced by its financiers to offload its US wind farm ‘assets’ in a fire sale last year (see our post here). Hoping to pocket over $500 million from that sale, it collected a little over half that – adding further to its balance sheet’s woes. It then went on to lose another $304 million last year – blaming its dwindling revenue on, of all things, the WIND! (see our post here): that dismal result took its total losses to a lazy $448 million, since 2011. However, for all the delusional confidence exuded by Miles George & Co about Infigen and its wind power ‘assets’, it seems that its owners are hell-bent on getting out before yet another Ponzi scheme collapses. Here’s a scene from Follow the Money Downunder. There has been a formal expressions of interest round to flush out a buyer for all or parts of ASX-listed Infigen Energy, sources told Street Talk. Street Talk can reveal that Infigen’s house-adviser, Lazard, wrote to potentially interested parties seeking formal expressions of interest in the company. It’s understood those interested parties were asked to provide details on who they were, the nature of their interest in Infigen and any foreign investment hurdles they may have to overcome to make an investment in the company or one of its assets. The expressions of interest were due in mid-April, multiple sources told Street Talk, and was to be followed by a potential bid stage should the company have received sufficient response. It is understood the process was aimed at parties who had been seeking an Australian renewable energy investment, including Chinese energy companies in and around renewables auctions. Infigen has made no secret of its desire to consider all options, in what’s widely seen to be an exciting time for the company. Infigen’s shares have been on a strong run as expectations grow of strong earnings growth thanks to underlying electricity market conditions. Much of Infigen’s merchant capacity is located in South Australia, where wholesale electricity prices have been rising thanks to a number of changes among existing market participants. Infigen has also benefited from the rising price of renewable energy certificates – or LGCs – which are expected to fuel the company’s bottom line. As Street Talk reported earlier this month, there is also growing expectation of corporate activity around Infigen. The company’s largest shareholder, The Children’s Investment Fund Management, is seen to be a seller at the right price, while prices for renewables assets more generally have been strong. There are also few ways for new entrants to play the Australian energy market, particularly if they are after coal-light options. The hotly contested sale of Pacific Hydro by IFM Investors to China’s State Power Investment Corporation in a deal said to be worth more than $3 billion, including debt, left several suitors standing on the sidelines in late 2015. Claiming that its wind farm assets are ‘hot property’ doesn’t quite sit with its disorderly rush to sell. As there are just a few factors overlooked by the AFR – that potential buyers ought to know about Infigen’s ‘assets’ – STT is more than happy to fill in the blanks. What follows provides a far better explanation for Infigen’s ‘sell at all costs’, fire sale. First, there is the small matter of its banker. 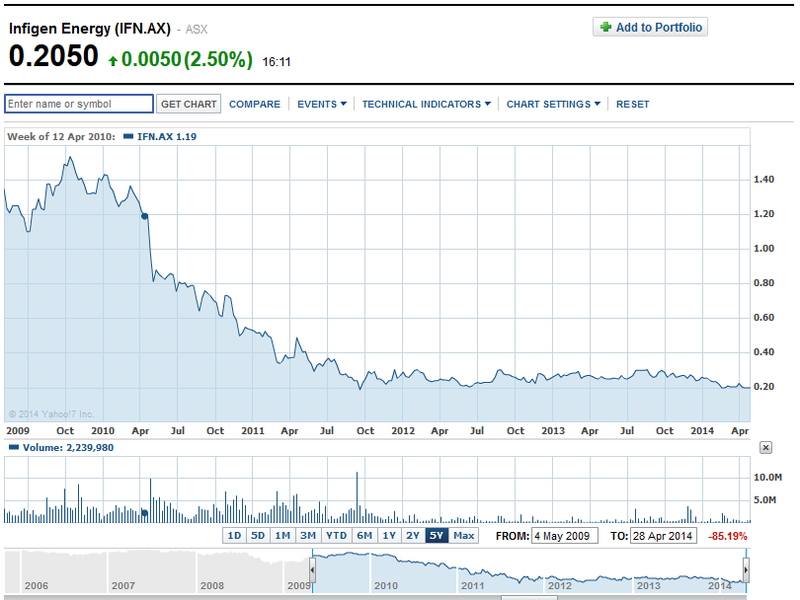 Most Australian wind power outfits, Infigen no exception, have bank facilities which either expire this year or next. STT hears that Australia’ commercial banks are refusing to even consider rolling over their existing facilities with wind power outfits. As the terms of these facilities expire, the wind power outfit concerned has a choice: it can either find another banker willing to lend; or cash in its assets and repay the loan. That RATCH, Pacific Hydro and AGL have already cashed out (see our post here), and Infigen is about to put its wind farms on the block, suggests that they were unable to find another willing lender (at least one willing to lend at a commercial rate of interest); and, therefore, had no other option but to flog their “assets” ASAP, in order satisfy their lender’s demands (by repaying the outstanding loan in full). It was either that or a date with their Bank’s receivers. STT also hears that Australia’s Commercial Banks have taken the view that – unless Hell freezes over – they will never again put up any finance for any new wind farm projects, on any terms. 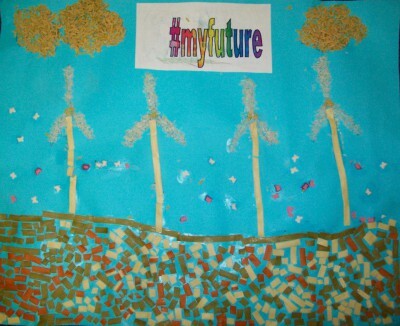 The reason being that which bankers avoid at all events: R-I-S-K – namely the risk that the LRET subsidies, upon which the wind industry critically depends, will inevitably have to be scrapped (see our post here). Another classic piece from the Energreen playbook is the line that Infigen is perfectly situated to benefit from its wind farm assets in “South Australia, where wholesale electricity prices have been rising thanks to a number of changes among existing market participants”. 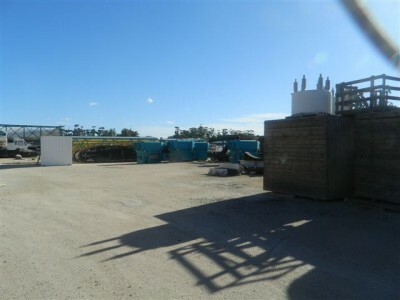 Always ready to rain on Infigen’s parade, while it is true that the average wholesale price is now fully double that of neighbouring Victoria, the fact of the matter is that in South Australia spot prices plummet whenever the wind blows. With 1,477 MW of capacity, when the wind is blowing – without much warning and for spurts of a few hours at a stretch – SA’s 17 wind farms can deliver around 500 to 1,000 MW of that capacity, which literally floods the market, sending spot prices below zero. 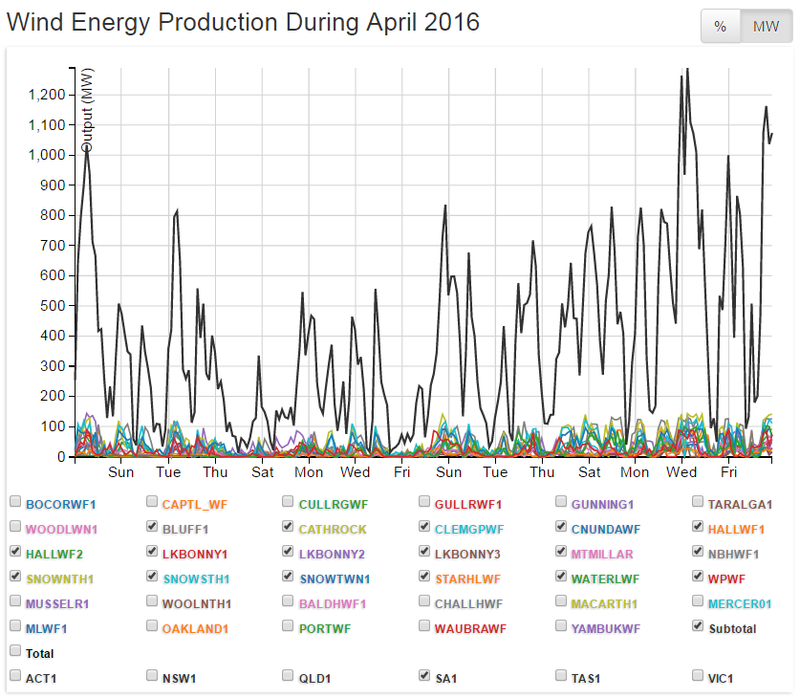 In the last 12 months or so, wind power outfits in SA have been literally paying the grid operator to take their skittish wares; on occasions up to $20 per MWh delivered. That kind of negative-revenue largess is only made possible where a wind power outfit is in a long-term Power Purchase Agreement with the retailer, under which the price is fixed at more than $110 per MWh. For every MWh delivered, the wind power outfit receives a REC which it hands over to the retailer: RECs (or LGCs) are currently trading at around $80. It’s that subsidy driven perversity that has South Australia paying the highest power prices in Australia, by a factor of two, and has its grid on the brink of collapse. 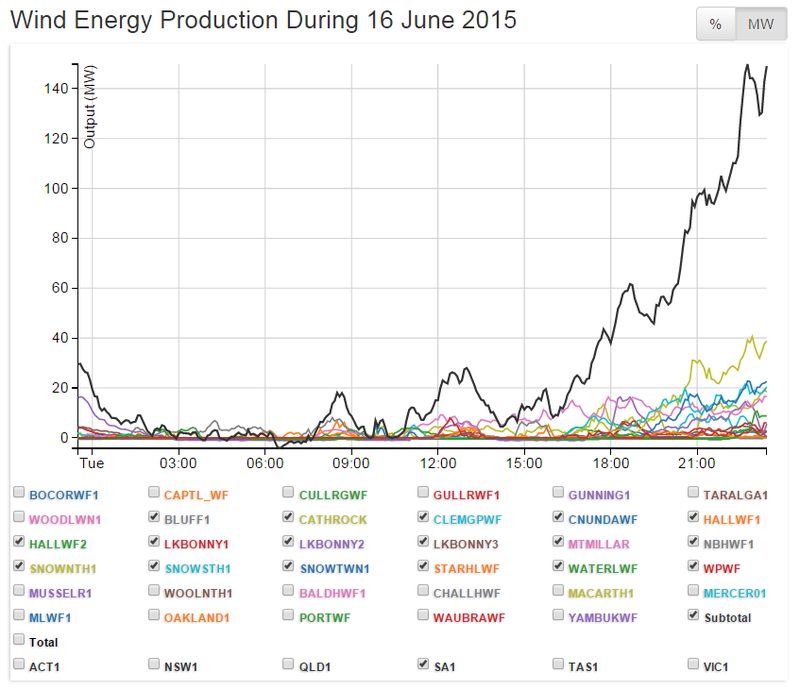 For a detailed analysis of SA’s government mandated power market chaos (see our post here). Commercial retailers haven’t signed a PPA with a wind power outfit since November 2012 and have no intention of doing so: turning their backs on the wind to face the Sun (see our post here). So, outside of a PPA there is no way a wind power outfit could break even by selling into an open spot market on ‘merchant’ terms. With the market delivery of wind power an all or nothing, weather driven affair, for wind power outfits selling electricity on a windy day or night is like trying to sell ice to Inuit in winter. The other thing that has Infigen mimicking Energreen is the fact that its ageing fleet of turbines are all out of warranty, which will leave any unwitting buyer with spiralling maintenance and replacement costs. Wind power outfits still make wild claims about these things running on the smell of an oily rag and lasting for 25 years or more, needing little more than a hug from time to time. However, the operations and maintenance cost of these things, as reported by Infigen, is around $25 per MWh (hardly the zero marginal cost claimed by wind cultists! ); and their turbines will be lucky to have an economic life of anything more than 10 years. Hepburn Wind’s crack maintenance team deliver scheduled hugs. When a 3½ year old Suzlon S88 turbine at Infigen’s Woodlawn wind farm died of premature bearing failure last year, on ‘message’ and true to form, one of its spruikers first claimed that its turbines run for “25-plus-years”; and then went on to claim that a wind turbine seen with its blades removed “had a failure of the main bearing. This is the only known failure of this turbine type and is very rare for wind turbines in general. The cause is still being investigated”. The furphy concerning the rarity of bearing failure is pretty easy to skewer: mechanical wear and tear, including bearing failure is one of the most common reasons for turbines to be put out of action; and is one of the key factors that accounts for the fact that the ‘economic’ life of wind turbines is 10-12 years, which runs contrary to Infigen & Co’s wild claims about them lasting for “25-plus years” (see our post here and this paper). Top flight German fan maker, Siemens booked a €223 million write down (ie loss) in 2014 due to the fact it has had to replace bearings in a fleet of turbines that were less than 2 years old. Siemens talking about the loss said: “The charge is related to inspecting and replacing bearings due to the early degradation in certain turbine models. We believe this is related to recent batches of bearings and we are in discussions with the supplier” (see our post here). For potentially willing buyers (read ‘dupes’), here’s some detail on the ‘assets’ Infigen is so keen to offload. The turbines Infigen speared into the communities at Woodlawn and Capital in NSW are all Suzlon S88s – just about the worst designed and built turbine there is. Suzlon – aka Suzlon REPower, aka Senvion – have planted hundreds of its S88s all over the Australian countryside: in addition to those Infigen operate in NSW, Trustpower planted 47 at Snowtown, in South Australia’s Mid-North; and AGL speared a hundred or so into SA’s Mid-North, around Jamestown and Hallett. To keep their workings lubricated and operating, wind turbine gearboxes have oil-reservoirs, like the sump in a car engine, and – like a car engine – the oil needs to be drained and changed on a regular basis. At Woodlawn and Capital – the wind farms Australia’s former Treasurer, Joe Hockey rightly called “utterly offensive” – STT’s operatives informed us that the maintenance crew – charged with the job of changing the oil in Infigen’s Suzlon S88 turbines there – have found the task getting more difficult over time. Apparently, the gearboxes are wearing out a whole lot faster than expected, with metal filings gumming up the oil-reservoirs; which has mechanics resorting to special efforts to first clear away the ground-up metal, in order to get the metal/oil mixture to drain out of the oil-reservoir. Repairs, general maintenance, metal fatigue, wear and tear, blade and bearing failure all cost – and, together, help make intermittent, unreliable and intermittent wind power insanely expensive; and smash to bits the wind industry’s nauseating falsehood about wind power being “free”. 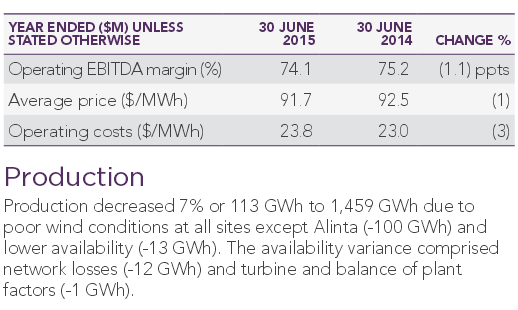 As noted, wind farm operating costs are typically in the range of $25 per MWh dispatched to the grid. And due to the need for repairs to blades, gearboxes, generators, cooling systems, etc – or wholesale replacement thereof – that cost naturally increases over the life of the turbines used. In its Energreen-like P&L Statement for 2013 (click here for the pdf) Infigen set out the financial “performance” of its American and Australian operations. 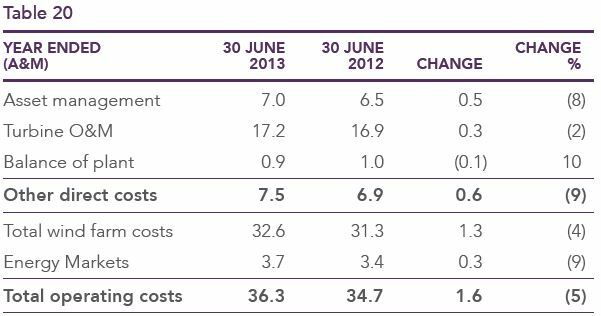 From page 26, here’s Table 16 relating to its Australian operations, where it reports “Operating Cost (A$/MWh) as $23.93 for 2012/13 compared to an “Average Price” of electricity sold of $96.57 per MWh. From page 29, here’s Table 20 where, on total operating costs of $36.3 million, $17.2 million is attributed to “Turbine O&M” (ie operation and maintenance); $0.9 million to “Balance of plant”; and $7.5 million to “Other direct costs”. Infigen’s US operations reported similar operating costs of US$24.18 per MWh for 2012/13 (refer to Infigen’s report at page 20 and Table 15 on page 24). Bear in mind that wind farm operating costs of $24-25 per MWh compare with the ability of Victorian coal fired power generators to profitably deliver power to the grid at less than $25 per MWh. The bulk of wind farm operating costs are taken up by maintenance and repairs: see Table 20 above (and see our post here for more detail). Although some ‘repairs’ are more costly than others – if a ‘repair’ is possible, that is. 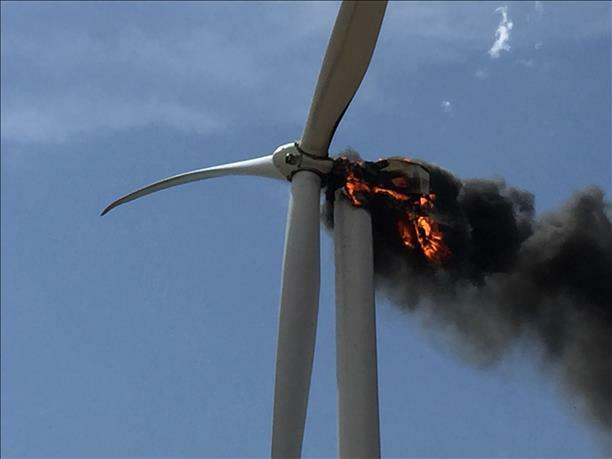 In this post we reported on a cluster of Suzlon S88s at a wind farm in Nicaragua that burst into flames and threw their blades to the four-winds – after which, one of them collapsed and hit the deck – all in spectacular fashion: the cause was said to be a “failure in their emergency braking systems”. Then there’s the cost of a more mundane class of ‘repairs’. The pictures below are of the bits and worn out pieces of Suzlon S88s taken at Suzlon’s yard in Jamestown, South Australia. 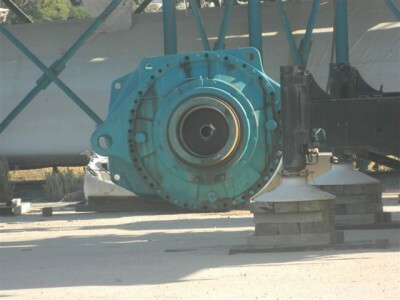 The picture above is of the gearbox assembly of a Suzlon S88 that literally ground itself to a halt at (what was then) AGL’s Hallett 2 wind farm in SA. The main ring-gear in the planetary section split into multiple pieces, destroyed the housing and sent about 250 litres of gear oil – contained in the housing – raining down the inside of the tower. The turbine in question was out of action for over 3 months: the replacement was under warranty, meaning Suzlon was liable to stump up for the cost of doing so. That it took so long is no wonder, as Suzlon – which suffered India’s biggest convertible-bond default in 2012 – was seriously struggling then and isn’t in any better shape now – even a name change to “Senvion” hasn’t helped. As well as the gearbox self-destruction episode at Hallett 2, the 34 Suzlon’s S88s used there suffered a raft of generator failures, all requiring complete replacements. STT’s SA operatives tell us that there are at least 3 of those 34 turbines that have not been operating for months now. The fact that there has been no attempt to repair or replace whatever is wrong with them suggests the cost of doing so is substantial and is not covered by the manufacturer’s warranty. The photo above is of 4 ‘worn out’ generator assemblies from Hallett 2’s S88s that were replaced some time ago. The photo below is of a suite of new generator assemblies lined up to ready to replace other failed or failing S88 generators. 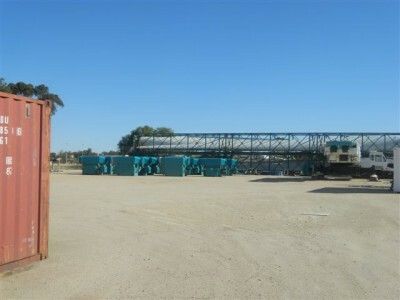 The gearbox and generator failures in Suzlon’s S88s at Hallett 2 (a wind farm that only started operating in June 2009), stand alongside what was the wholesale replacement of blades at the Hallett 1 (Brown Hill) wind farm south of Jamestown. There, 45 Suzlon S88s were used; commencing operation in April 2008. Not long into their operation, stress fractures began appearing in the 44m long blades; Suzlon claimed that there was a “design fault” and was forced by AGL to replace the blades on all 45 turbines, under warranty. That probably just about covers the story pitched up by Infigen about the “rarity” of wind turbine breakdowns – especially in relation to the highly ‘reliable’ Suzlon S88s that it uses in NSW. Buyers ought to also note that the Suzlon S88s Infigen operates at Woodlawn will celebrate their 5th birthdays in October this year; and that those it operates at Capital tuned 6 in January this year. And with that in mind consider what’s left of the useful economic life of Infigen’s South Australian wind farm ‘assets’, the bulk of which are much older than its Suzlons in NSW. Its SA ‘assets’ – comprising 112 ageing Vestas turbines at Lake Bonney in the South-East – are 11, soon to be 8 and 6 years old, respectively: Stage 1 (80.5 MW), March 2005; Stage 2 (159 MW), September 2008; and Stage 3 (39 MW), July 2010. Its wind farm at Geraldton in Western Australia has been steadily grinding away for more than a decade. Scratch the surface on what is really on offer here, and Infigen’s hurried sales pitch has all the persuasive pizazz of the gold-toothed grin that accompanies the suburban second-hand car salesman’s line about a 30 year-old BMW being “good for at least another 100,000 kms, or so”. In getting the AFR to add some second-hand car yard ‘shine’ to its wind farm portfolio, Infigen are clearly hoping to get out of a brewing financial disaster by way of the “greater fool theory“, that vendors of toxic assets rely on when they’re looking to ditch them in a hurry. STT’s salient warning to the cashed up and foolhardy: caveat emptor! WHAT ELSE IS NEW. SHOW ME THE MONEY IS THE WIND TURBINE COMPANIES’ MANTRA. ALL WE CAN HOPE IS THAT THE IDIOTS IN POWER SEE THE LIGHT. Like Jack and the Beanstalk the wind weasels believe they have a right to never ending rivers of subsidy money scammed from Australian power users. They don’t and sooner or later their stairway to heaven is gonna come tumbling down! One of your best articles to date. I’ll be referring people to this one on other forums. This is the kind of detail needed to demolish the lies of wind carpet-baggers. All politicians should read it. I can see 4 Capital turbines from my residence (at 11 kms). I look at them every day to remind me of the proposed Jupiter wind farm which will be much closer. Earlier this month, in a very windy period, one of the 4 was down for close on 2 weeks. Routine preventative maintenance I guess.